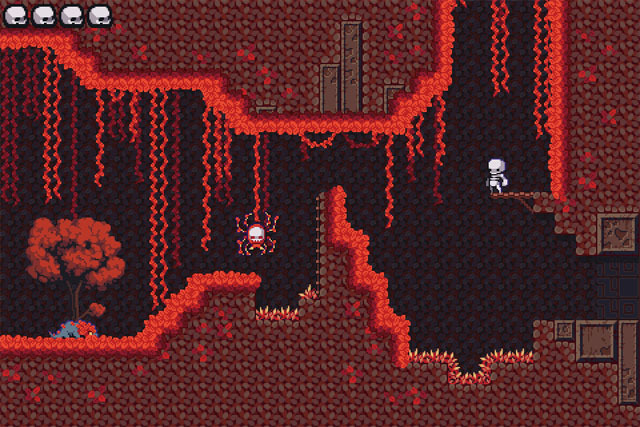 If you haven't played Skelemania from Benal, then you're missing out on a great - and somewhat unconventional - metroidvania. Fortunately, there's still time to check it out, as the game is pay-what-you-want on Itch.io right now. In Super Skelemania, you take on the role of a skeleton man who uses his skull to bash enemies, and he steadily gains new abilities that allow him to expand his exploration and grant new combat tactics. These include a long diving jump, a running charge, and the ability to roll through narrow openings, Samus Aran-style. The game is now available PC and Mac via Steam, Itch.io, and Gamejolt. Check our coverage here.